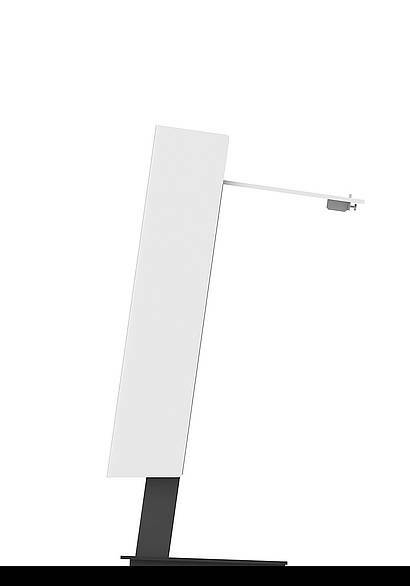 The height-adjustable and barrier-free PSE lectern is an all-rounder with LED lighting, microphone, picture interfaces and 230 Volt connection. Thus it meets the highest requirements in the event sector. There is enough space in the body to accommodate the necessary technical installations. For technology such as microphones, two decoupled brackets are fitted as standard in the desk top. Inspection openings allow quick access to the technical equipment and cable routing and are concealed by a cup holder and a folder shelf located underneath the desk top. All around a perfect design. Optionally, the front can be provided with a company or event logo. Alternatively, an LCD monitor can be integrated to provide situational information about the speaker or the event. A tablet holder can be placed above the desk to provide a digital template or a teleprompter function. 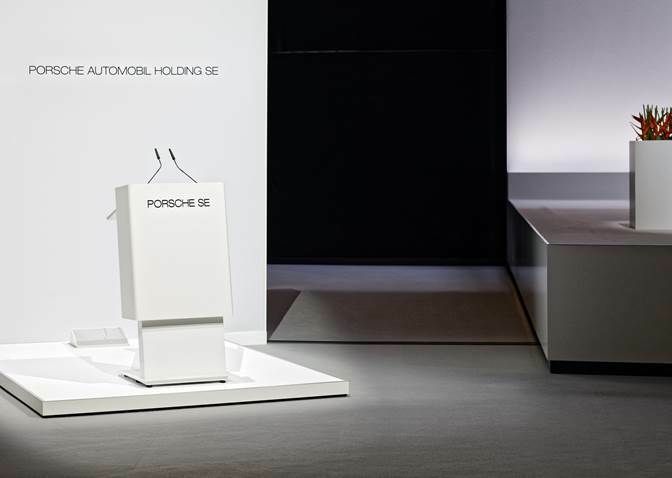 The PSE lectern can be easily and quickly transported and stowed in a transport flightcase. For short distances, transport castors are inconspicuously integrated into the lectern.